Kenya introduced a master plan for the development of Islamic Finance In the country. (Nairobi – Kenya) 6th Global Islamic Microfinance Forum officially inaugurated by Dr. Geoffrey N. Mwau, Director General, Budget, Fiscal & Economic Affairs , National Treasury, Kenya, H.E Raza Bashir Tarar, High Commissioner of Pakistan in Kenya, Dr. Amjad Saqib, Founder Akhuwat & Mr. Zubair Mughal, CEO, AlHuda CIBE in Nairobi Today. The salient topics will be discussed at the conference included bringing together the Islamic Microfinance Institutions on a single platform, role of Islamic Microfinance in poverty alleviation, Shariah and related issues of Islamic Microfinance Institutions and their solutions, Crypto-Currency as tool of financial inclusion, Islamic Agri. And Rural Finance, I.T role for the Development of Islamic Microfinance, Outreach of Al Huda Centre for Excellence in Islamic Microfinance to different countries and dissemination of Qarz-e-Hasna Model of Akhuwat. 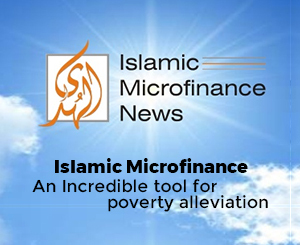 Representatives from microfinance institutions from 28 countries expressed their intent to unify their efforts for poverty alleviation and social development through Islamic Microfinance. In the opening remarks, Dr. Amjad Saqib, Founder – Akhuwat appreciated the contribution of AlHuda Center of Islamic Banking and Economics for the promotion of Islamic Microfinance, he mentioned, in Sub-Saharan Africa more than 50% of the population is Muslims, the presence of such a large number of Muslims along with weak financial inclusion and limited Islamic providers, calls for the need of Islamic Microfinance Products to be promoted in the region. While speaking with the audience, H.E Raza Bashir Tarar emphasized the developed of Islamic Microfinance for the poverty alleviation especially for the Muslim world, he also mentioned that Microfinance Industry witnessed continued growth and expansion in outreach in the year 2016 and we hope for the best for the coming years as well. While addressing the conference, Dr. Geoffrey N. Mwau, Director General, Budget, Fiscal & Economic Affairs, National Treasury, Kenya mentioned that one may ask why Kenya is keen on Islamic Finance? The answer to this question lies in the potential that this field of finance holds, not only globally but also domestically. Some of the factors driving this potential include 1) First, on the international front, according to IFSB, the Global Islamic Financial services industry reached an overall total value of USD 1.88 Trillion as 2015, which expectations of Market size growth to USD3.4 Trillion by end of 2018. 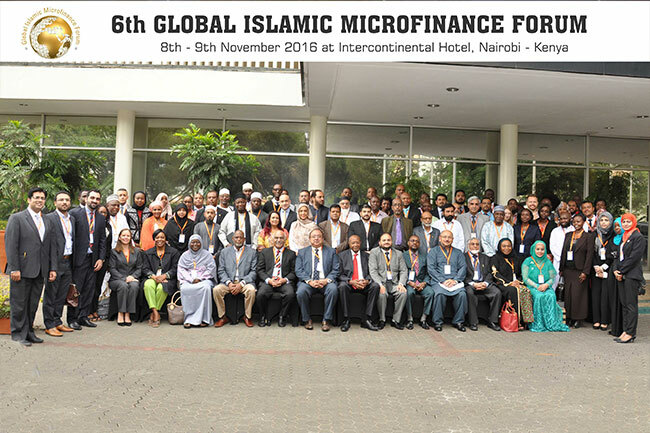 2) Domestically, Kenya’s Islamic Finance market has already witnessed substantial growth over the last few years with several key financial sector Institutions of Islamic orientation operation today, including 2 fully fledged Islamic Banks, 5 Islamic windows, 2 credit unions, 1 Takaful Company, 1 Re-Takaful Window and 1 Capital Market Unit Trust Fund 2016. 3) We have in place the right facilitative environment, including a strategic location as a regional financial, communication and transportation hub. 4) Islamic Finance Promises to foster greater financial Inclusion, especially of large underserved Muslim population. He also make some landmark announcement to establish a National Shariah Supervisory Board (NSSB) – an institution that will be the point of the reference when it comes to all matters to do with Islamic Finance, and also mentioned that Government, with the assistance from development partners, shall intensify efforts to capacity building and develop a critical mass of expertise to work in the Islamic Finance Industry. He also declared that Govt. through the Ministry of Foreign Affairs in seeking for Kenya to join the Islamic Development Bank and IFSB. Speaking on the successful, Zubair Mughal – Chief Executive Officer AlHuda Centre of Islamic Banking and Economics highlighted that the assemblage of a large number of institutions on the forum of Islamic Microfinance is a clear indication that it is the ideal viable solution of poverty alleviation around the globe. He urged the World Bank, IDB, USAID, IFC and other international institutions to include Islamic Microfinance in their priority agenda for financial Inclusion, social development and poverty eradication. Forum will be continued for two days along with two days post-event workshop in Nairobi. AlHuda Center of Islamic Banking and Economics (CIBE) is a well-recognized name in Islamic banking and finance industry for research, advisory and capacity building over the last twelve years. The prime goal has always been to remain stick to the commitments and provide state-of-the-art Advisory Consultancy and Education through various well recognized modes viz. Islamic Financial Product Development, Shariah Advisory, Trainings Workshops, and Islamic Microfinance and Takaful Consultancies etc. side by side through our distinguished, generally acceptable and known Publications in Islamic Banking and Finance. We are dedicated to serve the community as a unique institution providing Services not only in UAE/Pakistan but all over the world. We have so far served in more than 35 Countries for the development of Islamic Banking and Finance industry.